The Monterey Peninsula is more than just whale watching and great golf, it has become a popular a wine destination in the Central Coast. Monterey County is now one of the largest wine producing regions in all of California due to its unique microclimates and diverse grape growing conditions. Tasting rooms are available in Carmel-by-the-Sea and Monterey. Vineyards are located in Carmel Valley, Cacahgua Valley, and Soledad (River Road Wine Trail). If you’re headed to Monterey, a wine tour is a great way to enjoy yourself and drive safe. From shuttles to limousines, Monterey Airbus is ready to serve. It is said that Franciscan Friars first introduced wine grapes to the Soledad Mission area over 200 years ago, and that tradition continues to this day. Monterey is now home to over 45 of the best wineries in California! The Carmel Valley’s terrain and unique climate gives the grapes complexity and is ideal for creating rich, full-bodied wines like the Bordeaux varietals. The elevated location of the River Road Wine Trail is comparable to Burgundy and is best suited for Chardonnay and Pinot Noir wines. We make it easy for wine lovers to tour wineries all around Monterey and sample tasting rooms throughout Carmel Valley, Soledad, Salinas Valley and Carmel-by-the-Sea. Popular tasting tours are available at Paraiso Vineyards in Soledad, Holman Ranch Vineyards and Winery in Carmel and Jarman Wine in Carmel Valley. A private wine tour is idea for group transportation and executive coaches can fit up to 32 passengers for wine tours of the Central Coast. 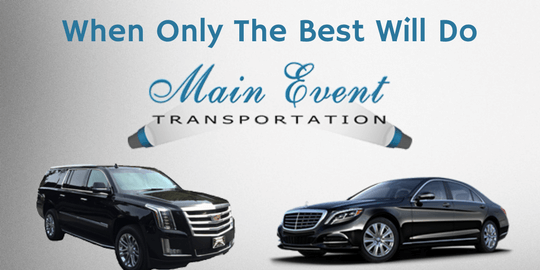 Check out Main Event Transportation for more information on wine tours in Monterey.